Riverfront 6BR Luxury Mountain Top 'Big House, Weddings and more...!!! 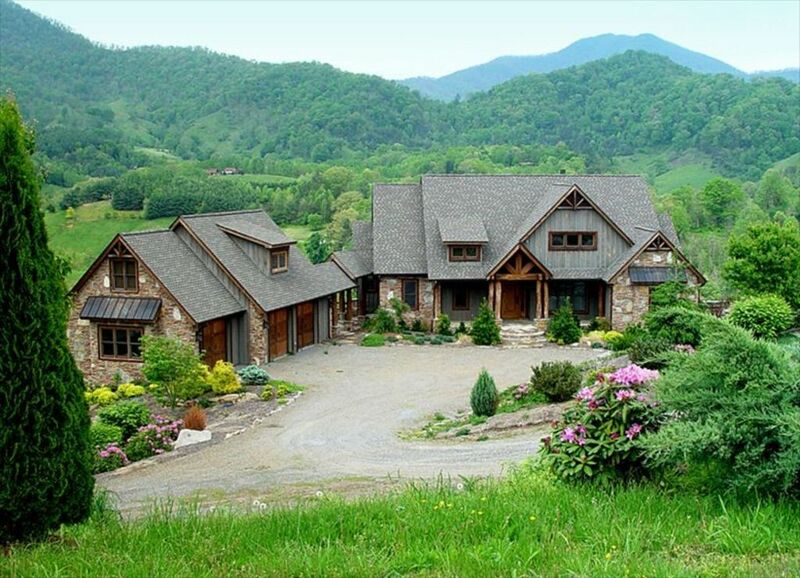 Magnificent Mountain Home Work of Art - Over 5700 sf. of beautiful architectural design with many gathering places to visit with a friends and family for that special event...Or just a perfect home away from home to relax and soak up the beautiful mountain views right along the Pigeon river. To date over twenty-five couples have picked our home for their wedding celebration. !...Like other luxury mountain top homes, as you approach this home you will appreciate the home’s picturesque presentation and obvious beauty. The view is clear and almost forever as you gaze across the expansive vista. However, the similarity to other homes ends as you cross the entry threshold and suffer the complete loss of breath one typically experiences on a first visit to this magnificent work of art. You immediately notice and can never forget the hand carved stair railings and beams, finished and polished by hand but in their natural state. Across a voluminous huge room filled with furniture, windows and light, you notice the hand selected stone fireplace filling the end of the room. A work of art in itself. Off to the left is a Gourmet’s delight of a kitchen, spacious and filled with granite and stainless and everything necessary to prepare a gourmet meal for two or thirty. As you begin to wander and look, you soon discover that this is the collective work of artisans and old school craftsmen who painstakingly excelled, an owner with a profound appreciation of nature and art combined with an unlimited budget all who collectively felt challenged with the task of building much more than a luxury home, but more a magnificent work of art, the likes of which most people have never had an opportunity to behold. And you among the fortunate are now standing here. As you continue to explore its 6 bedrooms and 5 baths, you remain amazed at the attention to detail framed in the most usual ways, such as a whole tree trunk, hand hollowed and polished to accommodate plumbing for its use as a sink base in lieu of the typical cabinet...One of many unique, small details that you will soon discover as you explore. Tile work abounds everywhere also displaying and embellishing the beauty and uniqueness of this fine work of art. You will discover a wine cellar with a tasting room and a home gym to work out if you have the energy. A steam room, heated bathroom floors, the list goes on and on. A study with a magnificent sound system will draw you in and capture you for hours. The home could virtually be in contention for a Noble Peace Prize for the amount of tranquility it bestows on its visitors if it were not for the continued arousal of curiosity of true art lovers. If you happen to be an architect, designer, builder, curator, art collector, nature lover, you do yourself a disservice by not experiencing this work of art. And by day, if you wander outside onto the natural stone terrace, you’ll see a commanding view that looks far beyond any horizon or down to a lovely rushing river filled with the sound of water splashing on the rocks. Perhaps tubing or trout fishing kindle your youthful spirit. At night sitting in rocking chairs by a huge outdoor stone fireplace with a glass of wine will kindle your imagination or looking up to the same star filled sky that Van Gogh was so inspired by but a night sky more clear and bright than you’ve ever experienced. Whatever you do, don’t miss this opportunity to spend a week or two living within a true work of art. Who knows when the Owner may say no more, and it’s gone from all of us forever. In the meantime if you are fortunate enough to stay here, I assure you that you will leave amazed and truly blessed by a memorable experience in this mountain top work of art. We built this cabin with a fabulous craftsman who we let loose on creative detail which shows to all our guests...beautifully...!!! Regular drip pot and Keurig single cup brewer...!!! Tubes for rafting provided free of charge...!!! We truly enjoyed our stay at the Big House on the River. The home is truly as it is described but even better in person. The great open floor plan made it a great place to relax and unwind for the weekend. We had 12 people in our party. Each couple had their own room. This house was perfect for our couples retreat. A few of the couples sat out by the fireplace at night and others took a walk down to the river for fishing. We even got some snow and it was gorgeous. For two of our meals we had a local private chef come in and she raved at the gorgeous kitchen. This is a great home to stay in and we would definitely stay here again. Thad was very accommodating and even let us rent a Pay Per View fight on one of the nights of our stay. All around great home. Our family came from three states to be together. First time in two years! This was the perfect place to spend a holiday celebration together! There were six adults and eight children 7 and under. Everything worked out perfectly- from enjoying s'mores over the outside fireplace to enjoying falling snow our last day there! We went to Bryson City for the Polar Express and enjoyed some of the beautiful Christmas shops in Waynesville. What a cute town! The house was very centrally located for all the things we wanted to do, not to mention the breath taking view! We would love to come back and spend a summer vacation on the river! We have only been home one day and already recommended it to several friends- although we hate for it to get so popular that we can't get in! Lol! The host was very gracious and called to check on us when the winter storm hit. We can't say enough! It was a dream come true! Fully equipped kitchen and spectacular views...!!! We had a fantastic stay at the Big House on the River. It was as clean, had great amenities and a fantastic location to take day trips to other areas close by. Our family enjoyed fishing in the river and the amazing views on the back porch for morning coffee and evening cocktails. We had 2 families of 4 and a grandmother in our group and there was plenty of space for everyone. I would highly recommend a stay here and would love to come back and explore the area more. We love happy guests...please come again...!!! Absolutely perfect. Plenty of room to spread out yet come together . Family from PA, TX, CA, FL, TX, CO and SD. Kithchen(s) and pantry very functional with anything you could possibly need. Bedrooms all gorgeous. Porch one of the highlights of our stay. And outside fireplace was a nightly meeting place.some of us loved Asheville, others very happy to wander around Waynesville. And then there were the young hikers. A great time for all of us as it was the first time we all got together at one time. Would love to return - maybe a wedding. We love great reviews...!!! We try hard and are always trying to make things better...for our guests...!!! Initially I needed a home that could accommodate my entire family during my wedding weekend which was my first priority. However I must say our stay turned out to be much more than that! The owner was very welcoming and we enjoyed meeting him. The home was luxurious and the view was gorgeous. There was enough room that we were not all on top of each other and lots of things to entertain everyone. Most of us just wanted to sit on the porch and look at the view! One family member commented that she just wished she could have spent more time at the house rather than going to all the weekend wedding events. Another family member stated that the outdoor background of the wedding was one of the prettiest he had ever seen. We had a magical weekend and everyone thoroughly enjoyed their stay. We just wish it could have been longer!